The official opening of the new cantilever shelter at Giggleswick to place on 30th November with Canon John Bearpark, LASRUG President in charge of the ceremonial scissors. 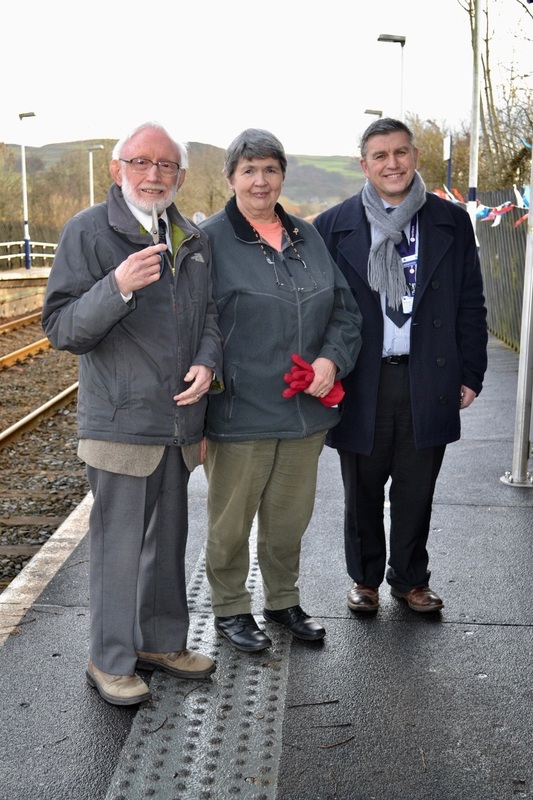 Ably assisted by Councillor Margaret Airey from Giggleswick Parish Council and Richard Isaac, Community and Sustainability Manager with Northern (left to right in image below). Before cutting the ribbon John gave a potted history of Giggleswick station, from its opening in 1850 to the present day and the lengthy campaign to get the shelter for this windswept location. Richard spoke of the support for this long-standing project by his colleague Pete Myers. 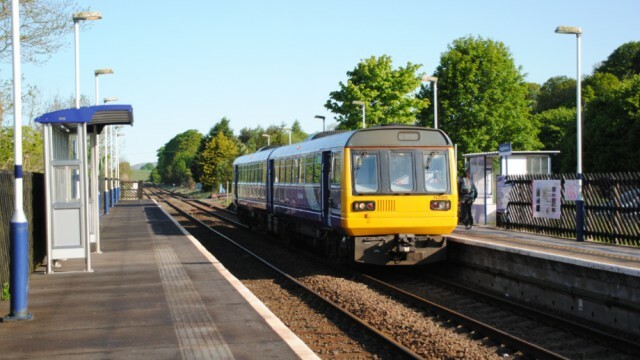 Richard also reflected on the many improvements due to take place at rural stations on the Bentham Line and elsewhere over the next few years. 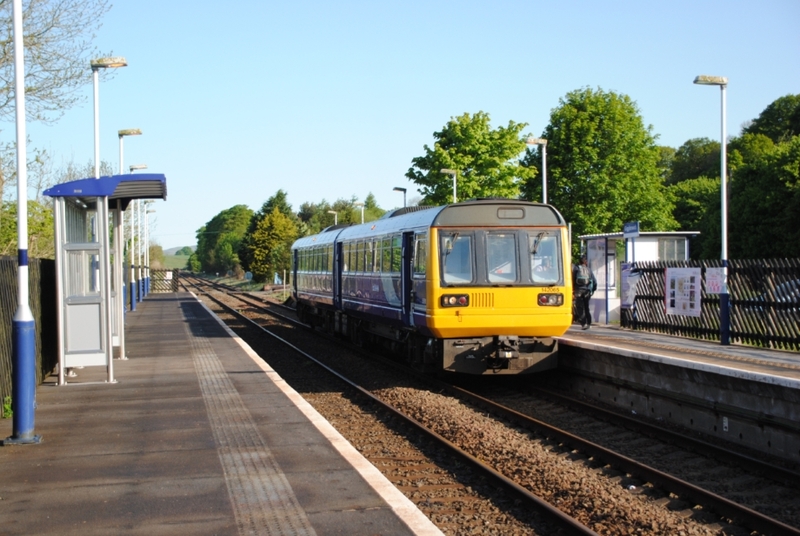 These included LED lighting, customer information screens, ticket machines and video help points.